Romance Excerpts Only Blog: New Release! MY SEAL BODYGUARD! New Release! MY SEAL BODYGUARD! I'm so excited to be part of another launch in Cat Johnson's Hot SEALs Kindle World! My contribution is MY SEAL BODYGUARD! She writes about danger for a living, but now she's in it. Only a Navy SEAL can save her. When someone breaks into romance author Peyton Matthews’ Virginia Beach home to steal her newest manuscript, her publisher hires Noah Chase, a former Navy SEAL and the newest member of GAPS to be her bodyguard. Peyton thinks the idea of needing a bodyguard is ridiculous, but she can’t help appreciating how gorgeous Noah is. And while she thought that having a stranger hanging around 24/7 would mess with her creativity, the Navy SEAL definitely comes in handy when she’s choreographing fight scenes. All that hand-to-hand action and rolling around on the floor with him gets her pulse racing, but while Noah is falling for Peyton too, he doesn’t act on it. He needs to keep his head in the game and focus on the job or he could end up getting her killed. She might not think she’s in danger, but his gut tells him differently. The threat to Peyton is closer to home than she realizes however, and it will take all of Noah’s SEAL training to save her life. Peyton didn’t even realize they’d been sitting on the couch talking for well over three hours until she caught a glimpse of her watch as she reached for the iced tea she’d switched to sometime during the conversation. Even though she knew he hadn’t meant going to bed together, her pulse quickened at the thought of spending the night in his arms anyway. He was supposed to be her bodyguard, after all. What better way to guard her body than to sleep beside her? Pushing the image out of her head before it became too vivid, she picked up her glass and got to her feet. On the other side of the sectional, Noah did the same. She put her glass in the dishwasher, then ran upstairs to get them for him. A few minutes later, she was back in the living room, pillow and blanket in hand. Considering he was a SEAL, she supposed that was probably true. Still, it was kind of scary to hear him implying he thought someone might break in while she was home. Peyton chewed on her lower lip as she watched Noah toss the pillow on the couch, then shake out the blanket. It occurred to her then that while she and Noah had talked about family, living in Virginia Beach, and a lot of other stuff, he hadn’t mentioned having a wife, or even a girlfriend for that matter. “Won’t your wife mind you staying with me?” she asked, curiosity getting the better of her. That announcement had her warm and tingly all over. But how was she supposed to get any sleep when there was a hot, available guy sleeping on her couch? 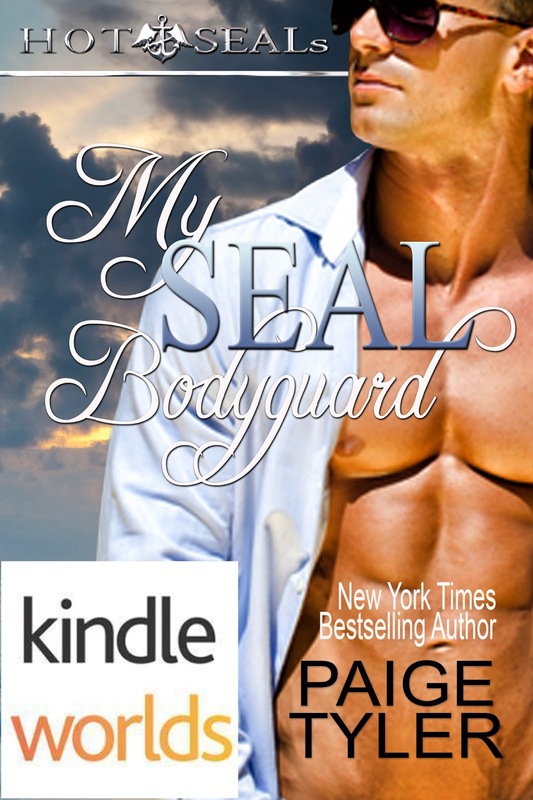 Because it’s part of Kindle Worlds, MY SEAL BODYGUARD is only available on Amazon. However, you can still download it and read it on any device as long as you have the Kindle app! Also, if you’re outside the US, you must open an account on the Amazon US site to purchase the book.